PREPA has a $9 billion debt in bonds, an obligation subject to PROMESA Title III process. According to documents filed this week before Judge Laura Taylor Swain, who presides over Title III cases, PREPA reached an agreement with Assured Guaranty - one of the three main municipal insurers- which would allow the corporation to reach a definitive agreement. Syncora and National Public Finance Guaranty -an affiliate of MBIA- have not yet reached an agreement with the Board overseeing the financial decisions of the Puerto Rican government. However, Assured's support would ease the process for a considerable percentage of creditors to reach an agreement, at a time when municipal insurers and the Ad Hoc PREPA bondholders group are waiting for the court to decide on a lawsuit to put PREPA under receivership. Over the last few weeks, the court has dealt with different procedural aspects aimed at deciding on the creditors' motion to appoint a trustee in PREPA in May. According to court filing, if finalized, the agreement would resolve the motion for a receiver in PREPA. Syncora joined this request, while NPFG is still considering their course of action. If Swain granted the extension requested, the Board and the Puerto Rican government could continue talks for National and Syncora to also join the deal. These insurers represent less than 15 percent of PREPA´s debt. Assured Guaranty has more than $3 billion in PREPA bonds. The creditors' joint motion states that if PREPA and bondholders reach a final agreement, the parties agree to withdraw the motion for a receiver in the utility. According to the case schedule, bondholders, insurers and the government should present their final arguments on a receiver in PREPA no later than next Friday. The hearing to discuss the receiver motion is set for May 11. One of the motions before Judge Swain's consideration says that this case is at a critical point, alleging that the Board, PREPA and the Puerto Rico Fiscal Agency and Financial Advisory Authority (FAFAA) have engaged in talks to resolve differences over the need for a third party to take control of the corporation. These new motions before Title III court represent the most significant move in PREPA's debt restructuring since last year, the Board and the government of Puerto Rico signed a preliminary agreement with the public utility's creditors. PREPA's debt restructuring was negotiated on three fronts. On one hand, PREPA had to convince its bondholders. But it must also reach an agreement with financial entities that granted loans to buy fuel and with municipal insurers that guarantee part of their bonds. In the same case, the Electric and Irrigation Industry Workers Union (UTIER) asked the court to appoint an Independent Private Sector Inspector General (IPSIG), instead of a receiver. "The IPSIG would not replace PREPA current leadership but would review implementation, rules, and regulations in PREPA operation," UTIER attorneys Rolando Emanuelli Jiménez and Jessica Méndez Colberg told the court. On Tuesday, at the hearing of the House Committee on Natural Resources on PREPA´s recovery and rebuilding, chairman Raúl Grijalva said he hopes to draft legislation in May to ensure that PREPA transformation and privatization process is transparent and with accountability. While acknowledging Washington´s mistrust, José Ortiz hopes that any federal legislation aimed at imposing oversight over the power grid transformation process will facilitate the support of the U.S. government, not to impose restrictions. 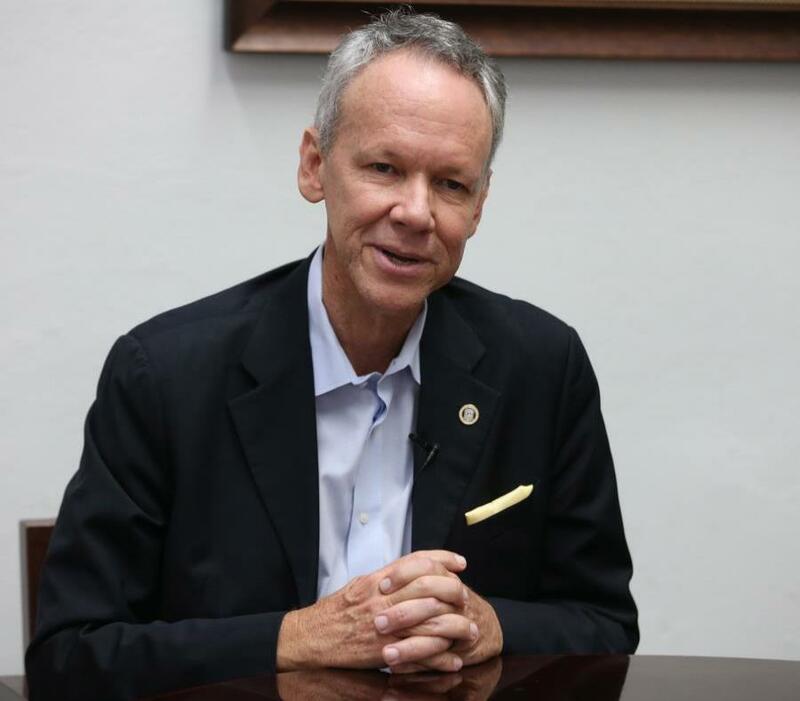 For Ortiz, from PREPA's point of view, the creation of some federal authority would make sense only if it breaks the “impasse” around the federal government's trust in the government of Puerto Rico.